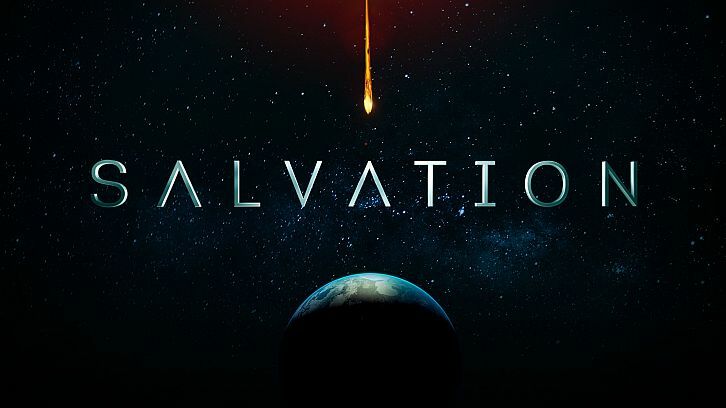 It's been said before, but bears repeating, of the shows out there who are still waiting to hear about renewal for another season, none deserves it more than CBS' Salvation. All summer long, the writers, actors, and producers have entertained loyal fans of the show with high-level intrigue, heart-pounding action and stellar acting. While never forgetting the looming threat of extinction at the hands of the Samson asteroid that is racing toward earth, the talented writers of Salvation have given us some of the best twists and turns that keep viewers glued to their seats week after week. With just a handful of episodes left, they've ramped up the action and danger, while in their latest episode, Celebration Day reminding us of what is at the heart of this show – family. Whether it's the family you are born to or the family you create, there's no doubt that family can make you do crazy things. That was on vivid display in this episode. You had Grace, walking unarmed into a hostage situation to get to her daughter. While on the surface it appeared foolish, it was exactly what Grace would have done. If we've learned nothing else this season, it is that Grace is fearless when it comes to protecting those she loves. While the core of the Salvation family is no doubt Grace (Jennifer Finnigan), Darius (Santiago Cabrera) and Harris (Ian Anthony Dale), this week the writers give other characters and performers their moments to shine in critical moments. This week there were outstanding performances from Melia Kreiling (Alycia Vrettou) and Jacqueline Byers (Jillian) in the race to find Grace's daughter, Zoe (Rachel Drance) – who has some nice moments herself- and rescue them from COPE and its mysterious leader, Bass Shepherd (Luke Arnold). By all accounts Alycia should be a much-disliked character for her part in Resyst's blackmail of the government by hijacking nuclear warheads. Yet, Kreiling has made her character understandable and likable, by revealing her past connection to Tanz Industries and who by her bottom line wants the same thing the government does, to save the earth. She's asked by Darius to help locate the now missing Shepherd but doesn't seem to want to help until Grace appeals to her for help in finding her daughter. Using her Resyst network, she seeks help in locating information on Shepherd and his cult. However, what she finds is that the group has billions and has been stockpiling weapons and survival shelters, not necessarily the actions of a mass suicide. When a standoff with the cult is televised her Resyst connections believe she has turned on them and is now working with the government. They dox her, the worst thing that can happen to a world-class hacker, outing her to the world. She's lost the only family she's ever known. Later, Darius grants her, her freedom. The problem being, now that she has been shunned by Resyst and her anonymity exposed, she has nowhere to go. In a short but impactful scene with Cabrera, Kreiling shines as the two have the most honest discussion of their past they've ever had. She's stunned to learn that Darius confession of being hurt by her betrayal. They ultimately discover that they'd caused each other a lot of misery when the fact was they were both searching for the one thing they didn't realize they needed most, a family. It was a standout moment in the episode and both Cabrera and Kreiling hit the right emotional beats with their performances. Later, when all hope of stopping the asteroid seems lost, she encourages Darius to not stop fighting and teams up with him and Liam (Charlie Rowe) in coming up with a last-ditch effort to save the planet. While Alycia had found a family with Resyst and they ultimately betrayed her, Jillian was experiencing a similar scenario with her newfound COPE family. Byers has done outstanding work with this storyline as the confused and needy Jillian searched for acceptance. She chose not to accept COPE's definition of Celebration Day being the day members accepted their doomed fate. That's not the Jillian we know, this Jillian is a fighter. So when the chips were down, and her new heavily armed "family" shot Detective Carter, she stepped up to help those she realized truly cared for her. She took an armed stand to help Grace, Zoe and an injured Carter escape, voluntarily choosing to stay behind. We've seen the redemption of Liam, and even Alycia this season, and hopefully this will help towards redemption for Jillian, because by giving Bass Shepherd and COPE the plans to the railgun she truly had committed an act of treason that has ultimately doomed the world. Later, even Harris reaches out to be there for Grace and Zoe, when it appears that all hope is lost after COPE succeed in destroying the railgun. He too is searching and finding a connection to the only family he has left, Zoe's and his late son's unborn child. He swears to be there for Grace, Zoe and the baby for all of the 58 days left until the asteroid hits. Even Darius has his family moment, when, with Alycia and Liam's encouragement he realizes he still has a family of sorts to fight for. And, as only Darius can, comes up a plan to save the planet. The only thing is this plan may involve the ultimate sacrifice. Yes, Salvation is all about family. Not only have the characters of the show grown into their own ragtag family, they've generated a family of loyal fans that have grown during the show's amazing second season. The actors, writers and producers have grown into a family committed to a quality program. With just two episodes left in the second season, they keep raising the stakes with excellent storytelling and are fighting hard to keep that family together. It would be a shame for CBS to break up the family by not giving Salvation a third season, there is simply still too much story to tell. What did you think about Celebration Day? Share your thoughts in the comments below.